Hotel Holiday Inn, 22 Godown Circle, Jaipur 302001. 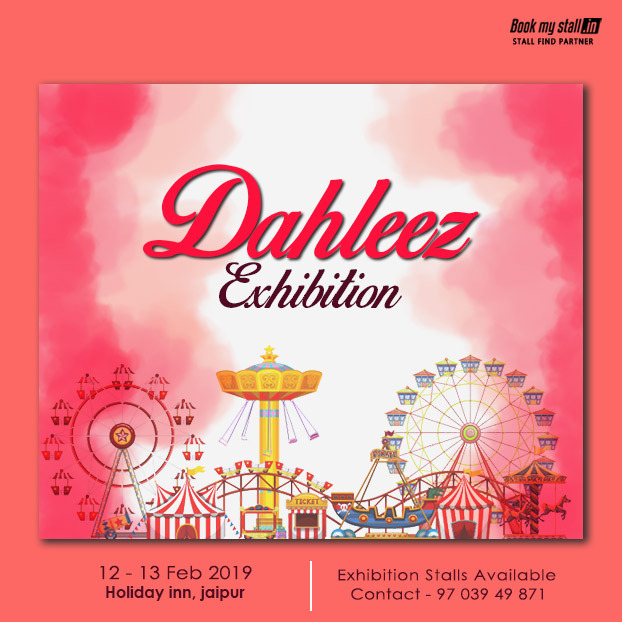 For More Details: Dahleez Wedding and Lifestyle Exhibition at Jaipur Contact Us: +91 9703949871 | Mail ID: [email protected] 12th To 13th Feb 2019 From 11:00 AM To 09:00 PM Hotel Holiday Inn, 22 Godown Circle, Jaipur 302001. Stalls Price: 2 Days - 25000/- Tables - 2 Chairs - 2 Full Stall - Octanorm. 2 Days - 15000/- Tables - 2 Chairs - 2 Full Stall - Octanorm. Hotel Holiday Inn, 22 Godown Circle, Jaipur 302001. Pin/Zip Code : 302001.